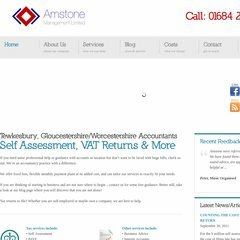 Topics: Services, Business Accounts, Payroll, Corporation Tax, Self Assessment â€“ Personal Taxation, and Bookkeeping. Amstonemanagement.co.uk's server IP number is 69.175.44.10. American Registry For Internet Numbers (Virginia, Chantilly) is the location of the Apache server. There are 3 Nameservers, ns3.pipedns.com, ns1.pipedns.com, and ns2.pipedns.com. PING (69.175.44.10) 56(84) bytes of data. A ping speed test response, is timed at 13.5 ms.